I was first introduced to local designer Renotta Thompson‘s work the weekend of the Art of the Table event at the Museum in November 2010. 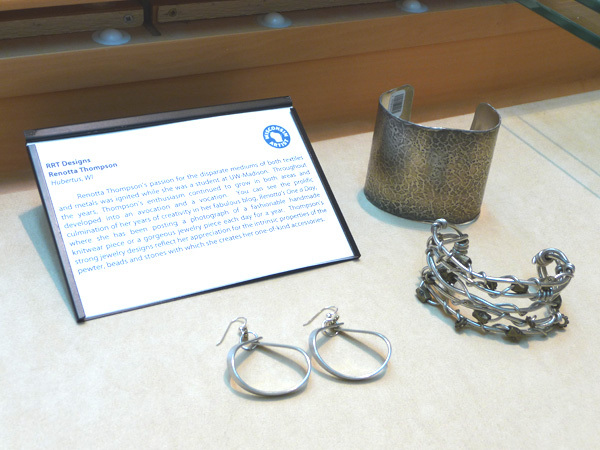 The Museum Store featured her work in the Art of the Table “satellite store” that weekend, and even in the company of great international design houses, her RRT Designs pewter jewelry line (crafted by her own hand right here in Southeastern Wisconsin) stood out. Doing my research for her biographical card on display in the Store (we call it an “Artist Provenance”), I came across Renotta’s blog, 365 Days of Design. It remains one of my favorite blogs for many reasons: the simple concept (one design a day, alternating media, but usually featuring fiber), the showcase of the breadth of her talent, her focus on lovely photography, and letting the designs speak for themselves in natural settings. 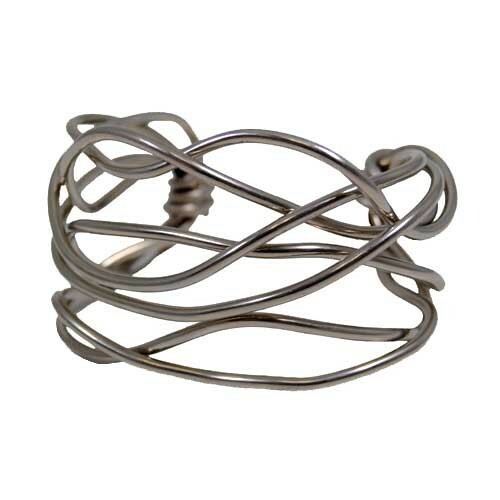 In her jewelry designs, like this cuff, you can see the techniques she has perfected in textile design are being uniquely translated in the medium of pewter. I caught up with Renotta recently to get her take on what it means to be a designer in the Milwaukee area and what advice she would give to young local artists. I asked Renotta about how she got involved in the arts. For her, it started with being involved in her community. “I moved to Milwaukee in 1969 after graduation from UW Madison,” she says. “I was an occupational therapist and took my first job at the Adolescent Treatment Center on the Milwaukee County Grounds that is now Froedtert. Occupational therapy was a great introduction to all the crafts as well as the importance of activity and creativity in one’s life.” As the owner of the Brookfield women’s clothing boutique, Next Door, community and creativity continue to mingle in Renotta’s daily life. The city of Milwaukee and the Museum are vital to Renotta’s lifestyle and creativity. “I am so proud to be part of the [Milwaukee Art Museum] Store. It is a great honor… I love the old and the new at [the Museum]. Everything there is an inspiration to me. This entry was posted in Behind the Scenes, Museum Store and tagged artist interviews, artists. Bookmark the permalink. We bought a pair of your earrings at MAM and have had the pleasure of viewing your blog. We would love to know where you feature your knitwear and jewelry? Hi Sandi- The Museum Store is continuously featuring fresh jewelry pieces by Renotta Thompson, so be sure to check back regularly for her new designs. 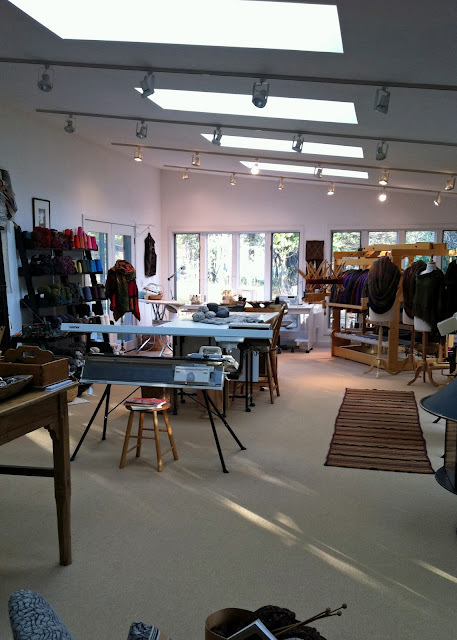 You can visit Renotta’s Store, Next Door, to see her knitwear next time you are in the area. Next Door is located at the Sendik’s Towne Centre on the corner of Brookfield Road and Capital Drive in Brookfield, WI.